Why is Automated Care Management the Spine of Population Health Management? Articles on social media channels that carry a sense of apprehension regarding the future of our healthcare system sadden me. However, I learned a long time ago that you never win by arguing with the referee, and that the most logical way to react to apprehensions is to prove them wrong based on concrete evidence. Building a sustainable model for care delivery is not a tough nut to crack as long as organizations have the right approach. If healthcare leaders can adapt to the constantly changing needs of providers and payers alike, they can steer their organizations towards a better future. What if we already know all the answers? Patient outcomes depend on a number of factors. I know cities with poor air quality have a higher percentage of patients with lung-related diseases than the green countryside. Similarly, patients who follow-up with their doctors more often usually take less time to recover from a problem as compared to less engaged patients. Care management is one area I genuinely believe is an answer to a plethora of problems that surround our healthcare system. However, enabling a culture of managed care is easier said than done. To begin with, it is quintessential to make providers and patients believe in its very significance. This can be achieved by promoting patient engagement, streamlining referrals, increasing Annual Wellness Visits, and regular follow-up meetings, among others. Baby boomers, millennials, middle-aged people, and kids― everyone has different needs and expectations. However, every patient longs for comfortable, connected, and cost-effective care. Continuity of care is the key here. Care delivery is an end-to-end process. Care coordination and its various domains― transitional, chronic, and post-acute, among others― holds the potential to improve care and cost outcomes drastically. The more providers know about their patients, the easier it gets to impart care in a much more personalized and evidence-based manner. Making things easier for patients shouldn’t come at the cost of frustrated providers. Provider and patient satisfaction are, in fact, interdependent. For instance, organizations should ensure that there are little or no skipped appointments and at the same time, calling patients to remind them of their scheduled meetings should be the least of providers’ concerns. Every detail about their patients should be made available in the providers’ workflows in a simplified manner, available whenever they open their computers. Their minds should only focus on treating patients; everything else should be automated. In other words, we need to free providers from anything and everything that doesn’t involve providing care. While the road towards efficiency is not exactly smooth, I prefer to remain an excited optimist rather than a pessimist without hope. The news regarding the impact created by AI-assisted robotic surgeries gives me a lot of hope, and so do the advancements in the field of precision medicine and care management. Healthcare has already come of age. But it will go to waste if we don't put it to use where it matters the most. Not many years ago, AI was a dream, and people looked at it as probably one of the most significant breakthroughs of the 21st century. Cut to 2019, and it is now fabricating our other dreams. 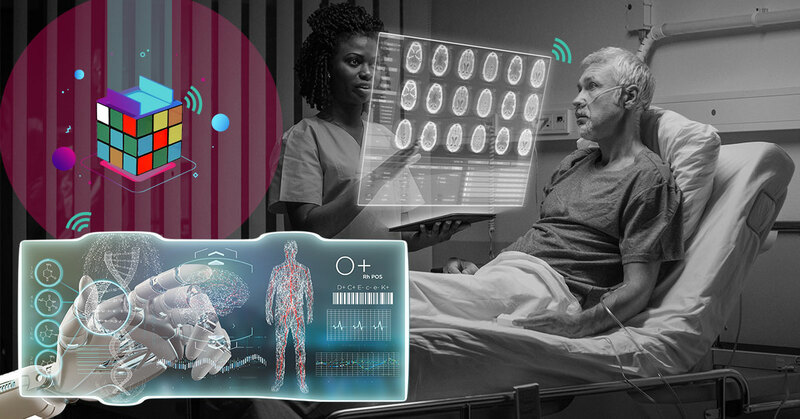 Healthcare technologies are making a massive impact on our lives, but we have to make sure that they continue to assist our providers in redefining the benchmarks of quality care. To find out more about how you can automate your care management initiatives with the Data Activation Platform, get a demo. Join Team Innovaccer at America’s Physician Groups Annual Conference 2019 from April 11 - 13, 2019 in San Diego, California. Visit us at Booth #212. Know more.